Speaking of the autumn leaves, it should be Tofuku-ji temple. It is always lined with so many people early in the morning. 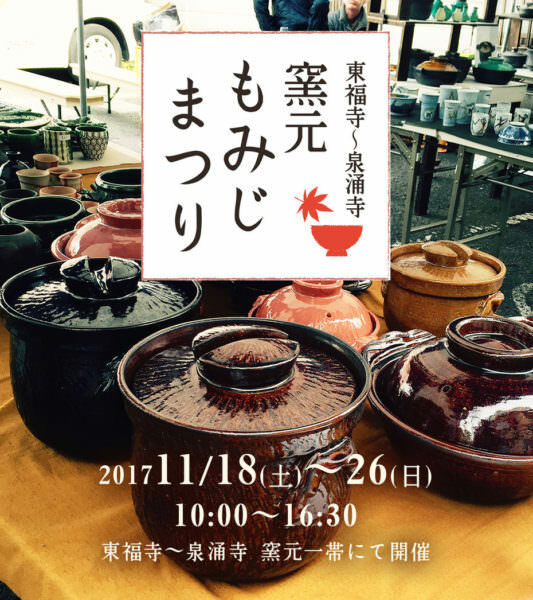 A pottery momiji festiva had been hold from 18th to 26th of November around Tofuku-ji temple and Sennyu-ji temple area. There were various kinds of events you can enjoy such like earthenware market and stamp rally. After a quick visiting of Tofuku-ji temple, it is also a good idea to move to the near temples and keep on your autumnal leaves hunting. During the workdays, if you are lucky enough maybe you can have a talk with the staff of the pottery and get your favorite item back home.